If you’re looking for a quick way to make your opponents sacrifice a ton of permanents, this to me is by far the best way. There are always gigantic monsters lurking around in Commander, so let’s suppose an opponent has Godsire out and you prey upon it. They’ll be forced to sacrifice 8 permanents! 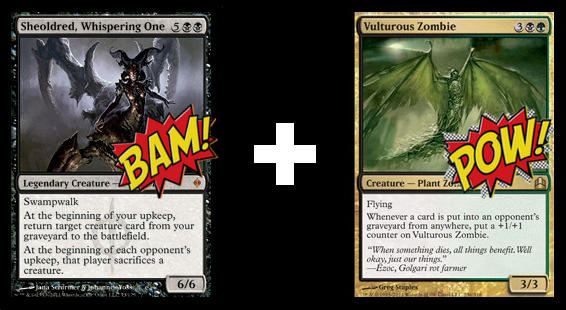 This is a combination that’ll get you LOTS of lands, take LOTS of life from your opponents, and earn you a creature with LOTS of power. 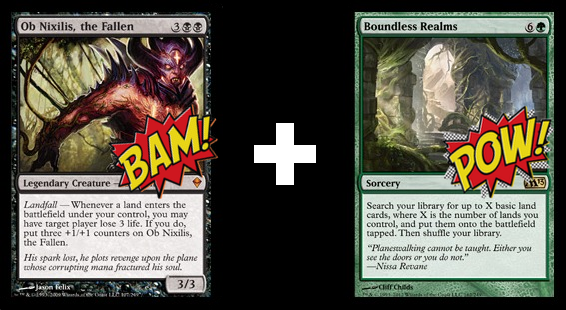 To give you an idea of the punch this duo packs, let’s say you put 7 lands onto the battlefield with Boundless Realms. You’ll have 21 points of life loss to dish out and a 24/24 Ob Nixilis at your side! 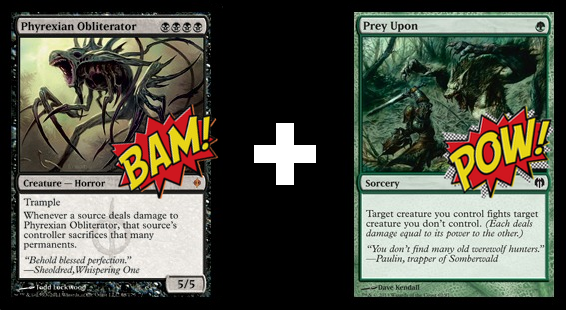 This combo isn’t as swift as the previous two, but after a few turns things’ll really start to get out of hand. Of course Sheoldred is great on her own, but her ability to make opponents sacrifice creatures will grow your Vulturous Zombie to scary heights, frightfully fast. So there you have it! Three one-two punches you can try pulling on your friends in your green-black deck. What are your favorite one-two punches in the land of Golgari? Let me know in the comments section below.